Niagara Falls is a natural resource which was hailed as the answer to the growing demand for power on both sides of the border between the United States and Canada. The first transmission of Niagara power occurred in 1896, when current was sent twenty miles to the city of Buffalo, New York. 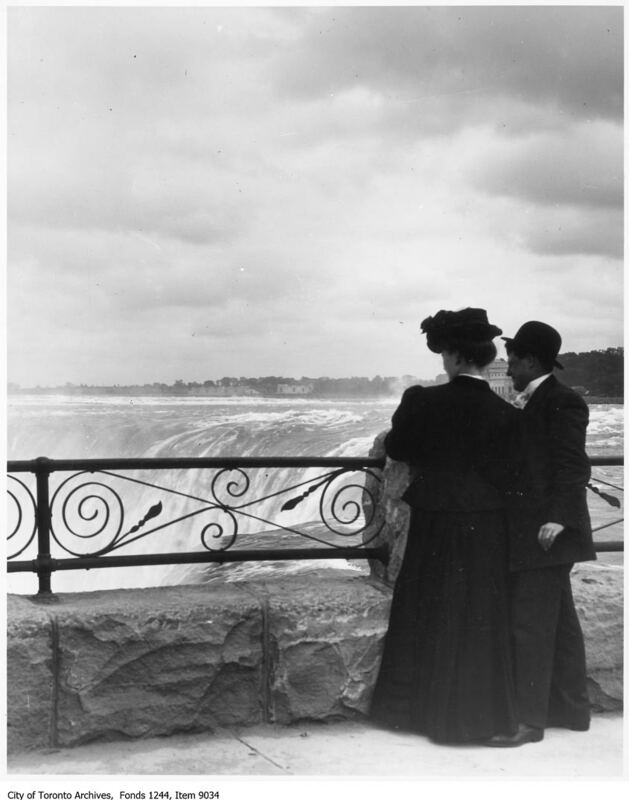 On the Canadian side, the Queen Victoria Niagara Falls Park Commission held control over who could take water from the Niagara River for power generation. The commission had granted contracts to two companies whose directors were American, and whose intention was to sell much of the power generated on the Canadian side of the Falls to the US. These companies, the Ontario Power Company and the Canadian Niagara Power Company, began constructing their powerhouses in 1902. In 1903, the commissioners let a third concession to the Syndicate, who called their new enterprise the Electrical Development Company. Henry Pellatt was the president, Frederick Nicholls was the vice-president and general manager and William Mackenzie was the second vice-president. 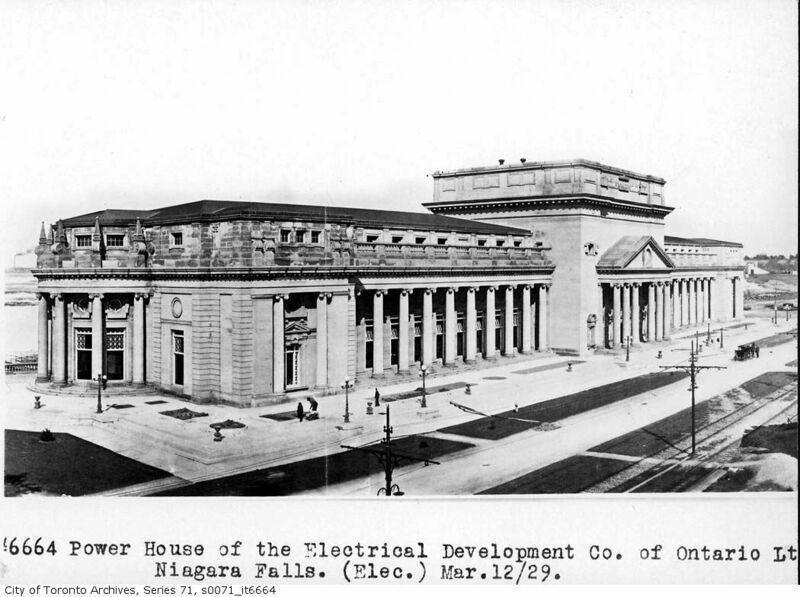 Construction of their powerhouse at Niagara Falls began in 1904. Designed by architect E.J. Lennox, the powerhouse had a wheel pit that was 400 feet long and 150 feet deep. Water passed through submerged arches and then dropped 10 feet down steel penstocks to the turbines. Also in 1904, Lennox designed the company’s transformer station, which still exists at 451 Davenport Road, located conveniently close to where Henry Pellatt’s Casa Loma (also designed by Lennox) would be built from 1911 to 1914. This ornate building was designed by Edward James Lennox, who also designed Toronto’s magnificent City Hall (erected in 1899) and the palatial home of Henry Pellatt, Casa Loma (built between 1911 and 1914). The power station was retired from service in 1973, but the building still exists. The Syndicate organized the Toronto and Niagara Power Company to build the transmission lines to get the power from Niagara to Toronto. The hydro corridor located immediately south of the Archives on Macpherson Avenue was part of that system. 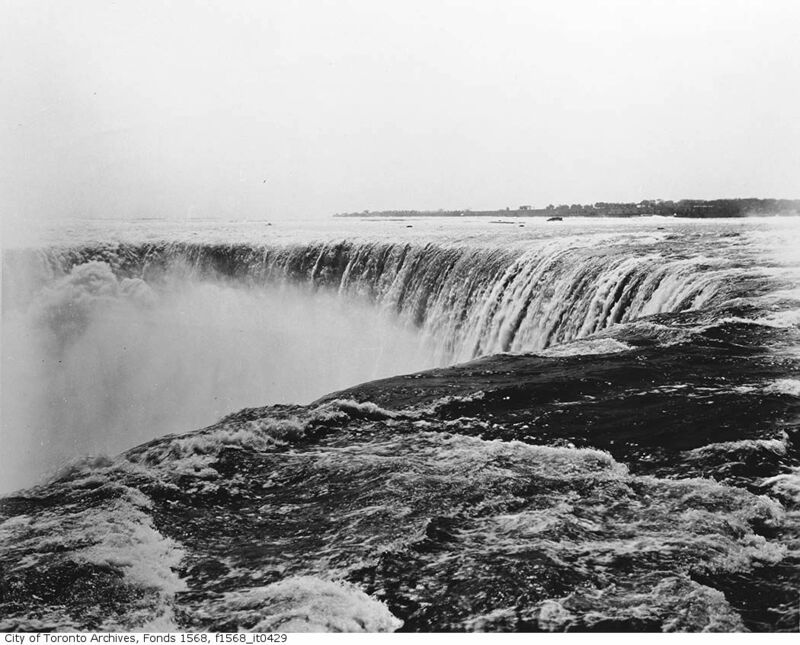 Hydro-electric power reached Toronto on November 19, 1906, and was flowing to Toronto Electric Light Company customers two days later.